Add style, character, and comfort to your TV watching experience with the team at Lef’s TV Installations. As dedicated TV enthusiasts we know how important the location of your TV is to the level of enjoyment you get. Fully-trained and qualified, we can securely install mounting brackets on drywall, brick, and other surfaces without issue or without damaging the condition of the wall itself. Able to save space and modernise the look and feel of your home invest in mounting brackets for your flatscreen TV. Able to complete accurate and measured TV mounting in South Morang, Craigieburn, Wollert, Epping, and across Melbourne Lef’s TV Installation can change the way you watch TV. TV Wall Mount: What Could Possibly Go Wrong? 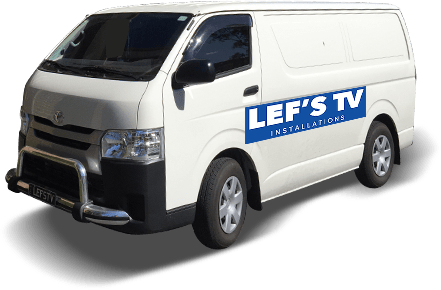 At Lef’s TV Installations our dedicated and knowledgeable team can oversee complete TV wall mount installations in Craigieburn, Wollert, South Morang, and Epping with accuracy and efficiency. 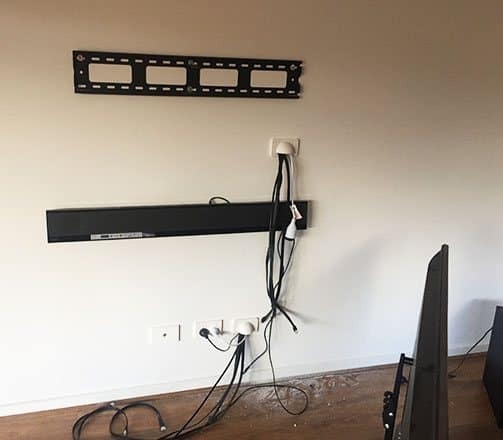 Over our years we have helped countless Melbournians correct a number of wall mount issues including: crooked mounts, mounts not securely anchored to the wall, and rectifying incorrectly-attached TVs. For all your TV wall mount needs trust Lef’s TV Installations. Concerned about the logistics of TV installation in Melbourne? Here at LEF installation, we can help you with all the challenges presented by this. 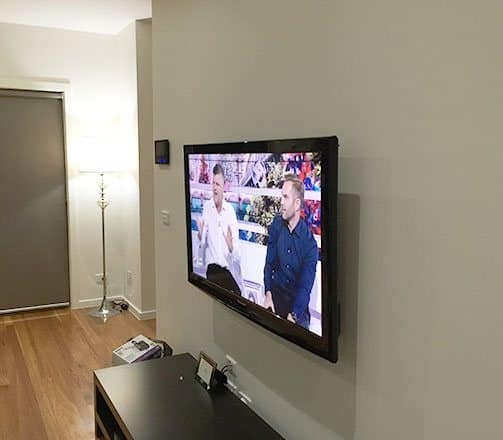 We offer a professional TV wall installation service to Melbourne customers. If you’re worried about your TV mount in South Morang, we’re the TV installers for Melbourne’s many suburbs. We can give you the best in home theatre design – so you can enjoy entertainment at its best. If you’re wondering how to install a smart TV, call us today! Committed to giving Melbournians the best TV watching experience of their lives the team at Lef’s TV Installations is proud to deliver our unique, competitively-priced, and reputable service across the city. Whether you live in South Moran, Craigieburn , Epping , Wollert or anywhere in between you can benefit from our exceptional and innovative solutions. To book our team to come to your home today call us today on 0431 517 847.